When you are in possession of a forklift license you can easily present it to your potential employer at an interview. You often find that employers who operate forklifts tend to search for candidates who have already obtained their forklift license because it saves them the cost of having to send you to a training school. Being trained and certified already also means you can start operating a forklift from your first day which is a further cost saving and increases productivity for the employer. So, it’s generally a better idea to have your forklift license sooner rather than later! The training course you attend needs to be specific to the type of forklift you wish to drive and tailored to your abilities. Once you have specified your requirements, you can use this information to inquire about courses. Once the training test has finished, those who have passed both parts of the test (the written and practical), will receive a certificate. This is your forklift license – make sure you keep it safe so that you can present to potential employers if need be. Forklift theory: Forklift trucks are built and designed for specific tasks. 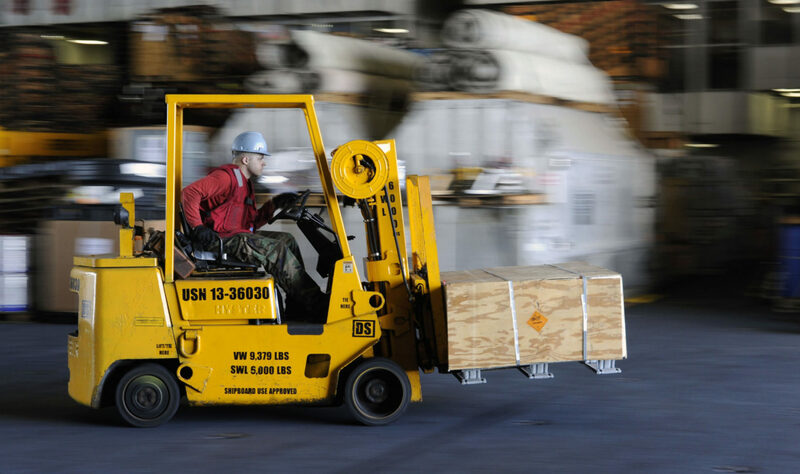 You are required to understand what goes into forklift design, the mechanics behind how a forklift actually functions and the physics behind transporting heavy loads safely. Forklift safety: There is no doubt that forklifts can prove dangerous when they are misused or handled recklessly. Therefore, your training will involve education on the safety aspects of operating a forklift such as identifying and avoiding hazards, inspections of equipment, and protecting pedestrian traffic.